Social media has become an essential part of everyday life. Today, while many argue that it distracts people from being “present” and decreases face-to-face interactions, it is actually a tool that people and brands can use to their advantage. 1.96 billion people across the globe use social media, and that number is projected to reach 2.5 billion by the end of 2018. In the past 10 years, the percentage of Americans who use at least one social media platform has grown drastically from 24% in 2008 to 81% in 2017. Whether you’re a celebrity, a professional athlete, a large corporation, a clothing store or a small business, you can use social media to enhance your brand and create a community with your followers. 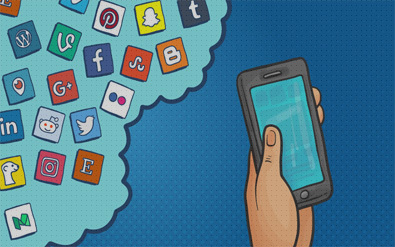 Social media allows brands to develop their own personality or voice in order to connect with their desired audience. Social media, specifically Twitter, has changed the way news is delivered today. In 2017, 67% of Americans reported getting their news from a social media platform. Over the past decade, news outlets and television channels have shifted much of their focus to social and digital content to take advantage of the social trend. Dux Digital is a great way to start digital marketing for your business. News channels like CNN and Fox News now share breaking news on Twitter, and many people immediately open Twitter to find more information about trending news stories and events. Celebrities and professional athletes interact with social media as a way to give their fans and followers a sneak peak into their daily lives and show what goes on behind the scenes. With the click of a button, a celebrity like Kylie Jenner or LeBron James can show their millions of followers what they are eating for lunch or a new project they’re working on. Not only does social media allow celebrities to connect with their followers and show them behind-the-scenes action, but it also creates buzz and something to talk about. The power of social media creates FOMO (fear of missing out), but at the same time, gives people the chance to follow along with an experience. You can feel like you’re at an event even if you’re sitting on your couch at home. Revolve, which is an online clothing brand, took full advantage of social media at this year’s Coachella Festival. Revolve piggy-backed off the event itself to create its own event/party, called Revolve Festival. The clothing company rented space near Coachella and threw their own parties during the weekend in the desert. By promoting the hashtag #RevolveFestival, they created a successful social campaign that allowed Instagram users all over the world to see pictures and videos and give them a taste of what it was like to actually be there. Revolve also used this as a marketing and advertising opportunity. The brand invited hundreds of celebrities to their parties and gave them Revolve clothes to wear. Celebrities posted on their Instagrams with the hashtag #RevolveFestival, showing off their favorite clothes and accessories from the brand. Whether you’re a small company just starting off, an artist trying to build a following, or a big company trying to draw in a new crowd, social media is essential for creating the perfect personality and voice to reach your target audience.